Performance to cap silver jubilee of one of Ireland’s great stages. 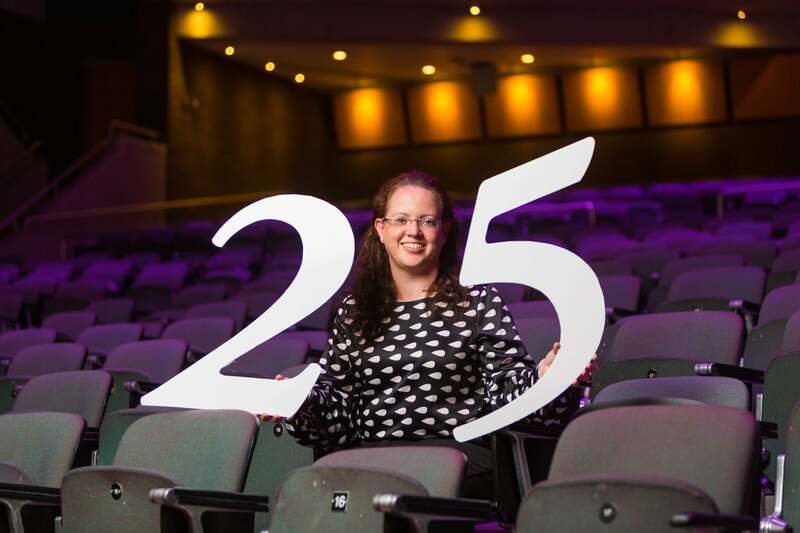 A silver jubilee programme to mark 25 years of magical moments on the University Concert Hall (UCH) stage will hit the high notes with a special Gala Concert celebration this September. Featuring the RTÉ Concert Orchestra and special guests – including some who performed in the first weeks of UCH, such as Chieftains legend Paddy Moloney and pianist Barry Douglas – the concert, on Saturday, September 8th, will be a true celebration of the venue’s contribution to the arts in Ireland for a quarter of a century. It will be the high point of an ongoing programme of celebrations to mark the special anniversary of this 1000 seat venue in fitting style, celebrations including a €1.85m upgrade in technical, backstage and front of house facilities. The venue will reveal a revamped entrance, foyer, box office, restaurant and dressing rooms for its anniversary concert. The celebratory programme also includes a series of video interviews with some of the stars who performed there in the past, including Christy Moore, Mary Black, Paddy Moloney and Pat Shortt. The Gala Concert will see some of the country’s most respected musicians and performers come together to give a flavour of 25 wonderful years of music. Paddy Moloney will perform traditional favourites including Carolan’s Concerto. The venue’s great classical tradition will be reflected in a performance of Beethoven’s Piano Concerto No. 5 by Barry Douglas, while UCH’s long standing relationship with the Irish World Academy of Music & Dance sees pianist and composer Mícheál Ó Súilleabháin take part. Choral Music, Dance, Opera and Limerick’s prominent musical theatre history will also be highlighted with the Limerick Choral Union performing a piece from Jenkins’ The Armed Man. Zoe Conway and Emily Flack will come together for a stunning version of Bill Whelan’s Riverdance, while singers Mairead Buicke, Amanda Minihan and Richie Hayes will delight audiences with a selection of operatic and musical theatre numbers. The celebrations continue across the weekend at the multi-award winning UCH with a free screening for families of Disney’s Moana at 3pm on Sunday 9th, while film and classical music audiences are in for a treat on Monday evening with the screening of A Late Quartet, which will be preceded by a live performance of Beethoven's String Quartet No. 14 by an Irish Chamber Orchestra quartet. In 1999 UCH hosted the RTÉ lyric Fm Gala Opening, the start of what has remained a close relationship with the national, classical music station, and so it is delighted to announce Liz Nolan as presenter on the evening of September 8th. University Concert Hall opened amid much fanfare in 1993 as the first purpose-built concert hall in Ireland. Over the past 25 years its programme has grown steadily with the venue now presenting over 200 events, across all genres, annually with attendances each year of over 120,000. Among the other famous performers to take to the UCH stage were Ray LaMontagne and David Gray, while events such as the hugely acclaimed Wagner Ring in 2002 and weeklong, sold out runs of I, Keano, Alone It Stands, Breaking Dad and many more have brought legions more into the city over the years. The first outside broadcast of the Late Late Show was at University Concert Hall in 2006, Dustin went to the Eurovision in 2008 from there – no blame attributed! - following the National Song Contest held in the venue that year. Major national and international conferences have also taken place at University Concert Hall including the Irish League of Credit Unions, the World Harp Congress and the ITLG (Irish Technology Leaders Group).